A drone video captured a blast during detonation in Willington, Conn. Ace Equipment Sales Inc. of Willington, Conn., has embraced drone technology in a big way. Information gathered from drones is being used in new plant design, plant remodeling, reclamation projects, stockpile reviews, purchase decisions and permitting applications for customers in New England and New York. Like other people, Ace Equipment initially used drones for taking interesting photographs and video of equipment, sites and blasts. There is a lot to be gained from aerial photographs and videos. Operators know the value of photographic information when going before a zoning board or other regulatory bodies. 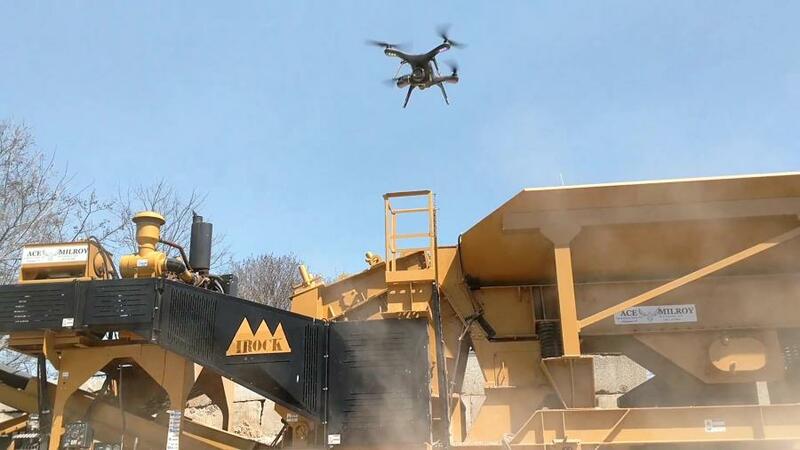 Drones also are excellent tools for videotaping crushing and sorting operations to solve problems such as issues with transfer points. 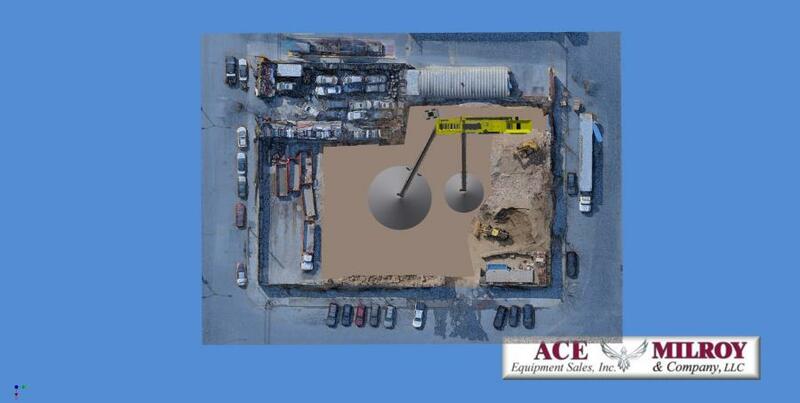 Ace Equipment has used Autodesk's Inventor Software Environment to design equipment and crushing plants for years. Flying a drone for photographs is just the first step in gathering valuable information to help with crushing plant design and installations. Finding a way to merge the virtual equipment from their Inventor Software Environment with a 3D point cloud of a specific customer site would be a game changer. Robert Campbell, Ace Equipment's project manager and designer, figured that information gained from drone photography could be the answer they were looking for. Knight was enthusiastic about how drones help operators. From this information, one can see how the new plant, including stockpiles, haul roads, generators, control booths are going to fit on your site. From there, the software can generate a scaled three-dimensional visual proof of concept of the site. Questions like “Is it going to fit? How much material can I store? What size conveyors? How much site work do I need to do?” can be answered quickly, efficiently and correctly. And customers get to see their plants and study them in a virtual site before making a large investment in plant and site development. 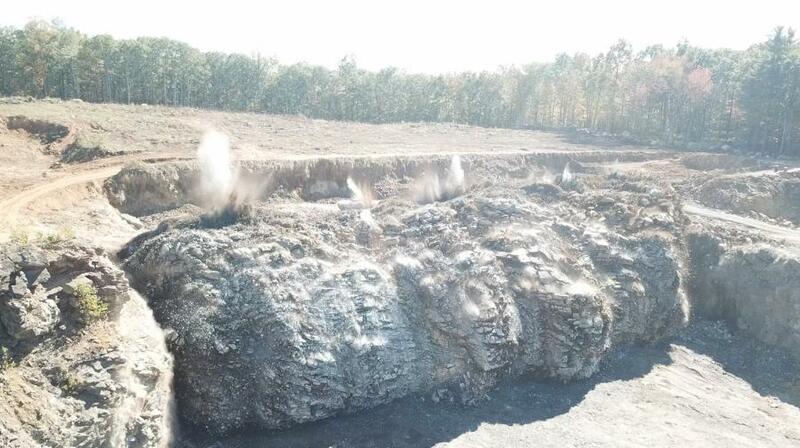 Quarry owners also are concerned about the quantity of the material being blasted and the stockpile volumes. Most quarries also are required to perform a reclamation of the property after the gravel or stone has been removed. Drone flight photography linked to the proper software can create day of flight information and comparative information from flight to flight for in-house documentation and regulatory reports. The operator can verify how much stone is going out and how much fill is coming in. In today's world, the thirst for more information is endless. Ace Equipment Sales has taken the next step to create a virtual environment, which can provide that information needed to make better decisions for a more profitable company.